"Wow !! Truly an exceptional townhouse in highly desirable Copperfield Village. This bright "end" unit has been well maintained and shows true pride of ownership. The spacious upper level consists of dual master bedrooms each with ensuite baths and walk in closets. On the main level you will find a generously sized kitchen with large south windows that flood the kitchen with natural light, a beautiful south exposed balcony area large enough for patio furniture and BBQ area and half bath with laundry. The living space below offers and excellent space with soaring 14 ft ceilings and direct access to the rear balcony. The basement is fully finished and is perfect for games room or theater area. 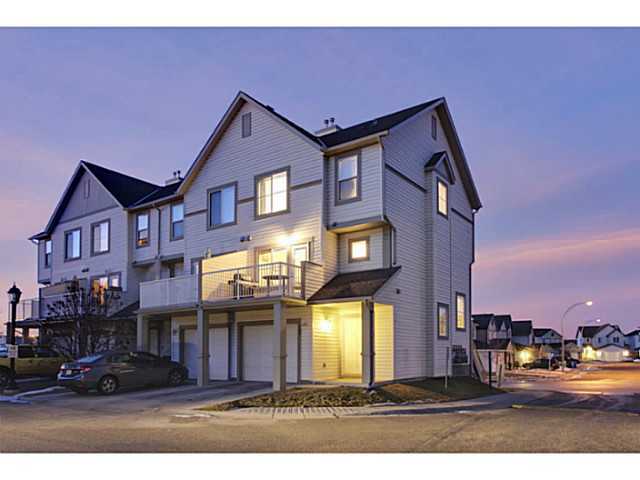 There is a single attached garage and the guest parking for the complex is conveniently located close by. Close to transit, playgrounds, greenspace and the wonderful amenities the area has to offer."